Most documents that require a signature and are not signed are considered invalid. So, the same goes for a passport. 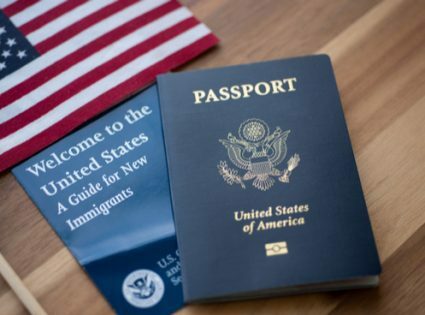 After you have applied for your passport and received it in the mail, there are a few things you must do after receiving it. The first is check if your name, date of birth, and any other vital information are correct before you sign a passport. Most importantly, your name is spelled right. If not, return your passport with the correct name spelling. Also, if you change your name, send the passport back with a name of change form. If all the information on your new passport is correct, proceed to locate the page where you must sign. On the page before your picture, page 3, you will see on the top “We the People” then follows the text of the Preamble to the constitution and the image of a bald eagle and the flag. At the bottom of the page is a line that runs from left to right. Below the line printed “SIGNATURE OF BEARER/SIGNATURE DU TITLAIRE/ FIRMA DEL TITULAR.” Above the words and on the line you must sign your name. The signature should be similar to the one you used on the application. Try to be consistent when using your signature as it is used as identification sometimes. Sign your name with black or blue ink and no other colors or with a pencil. An adult should sign his or her passport unless incapable of doing so. If for any reason the bearer of the passport cannot sign the passport, then a parent or legal guardian can sign on their behalf. Similarly, this would be for a minor if the minor cannot sign his or her name. The parent or guardian can sign the passport. A minor passport is similar to an adult passport. The only difference is the validity of the minor passport. A minor passport is valid only for five years, and you cannot renew it after it expires. As a minor passport expires and the child is still under 15 years, then the parent or guardian must reapply for a new a passport. The new passport will be valid for five years again. So, when it comes to signing a minor passport, the signature line will be on the same page as an adult passport, page 3. Above the line, the minor must sign his or her name if possible. Since a minor does not have a signature, then he or she must print the name. For minors that cannot write his or her name, the parent or guardian can print the minor name and next to it sign their name. By having the minor print his or her name or the parent doing it, the passport is now valid and can be used to travel. To sign a passport is not a big deal but not endorse it is. Keep in mind that when you get your new document or your child, verify your information or your child and if they are not right, signing your document does not make it official. In a case where the data is not correct, return it with the proper information. Once you receive the passport with accurate information, then go ahead and sign it for yourself and your minor if necessary.